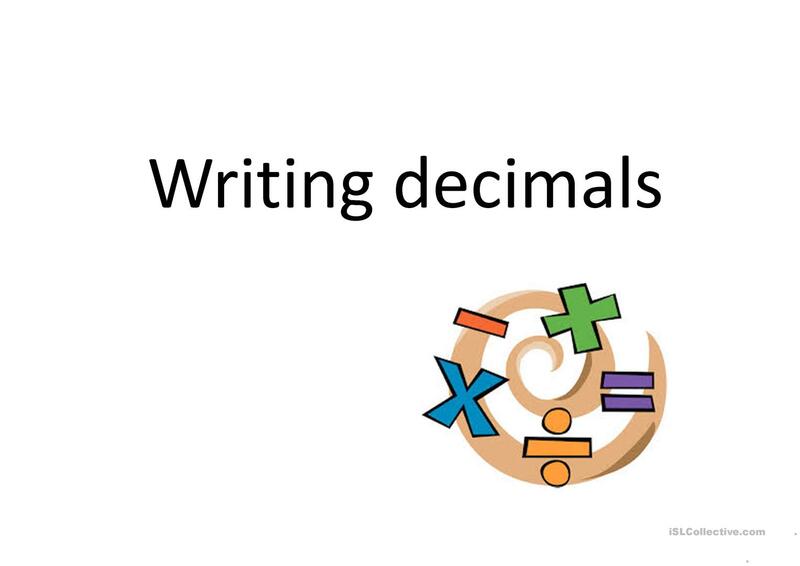 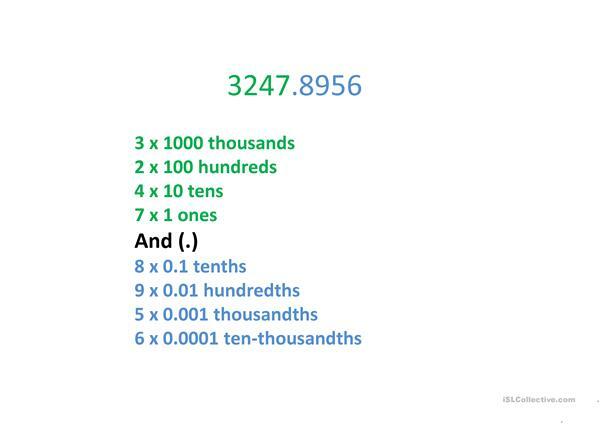 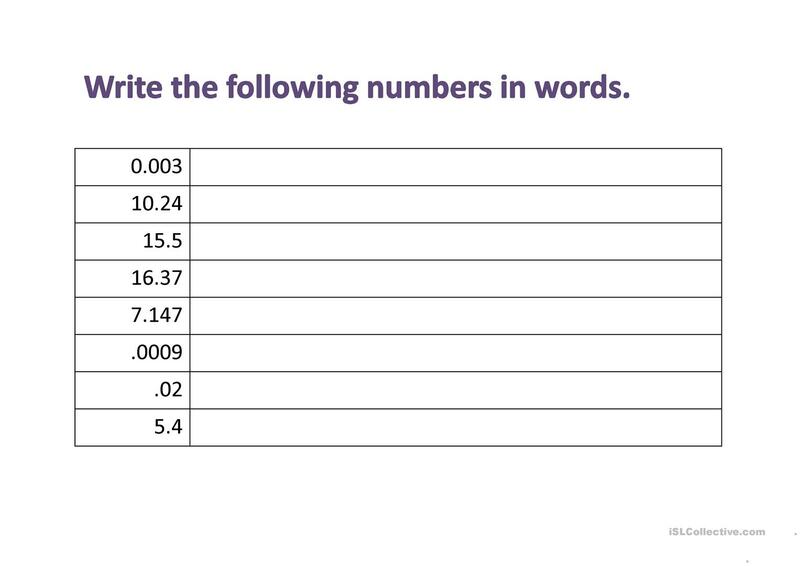 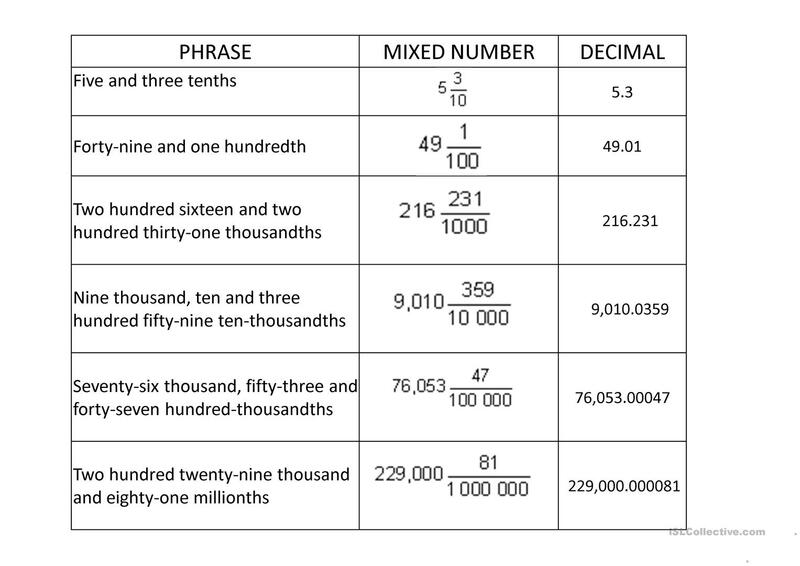 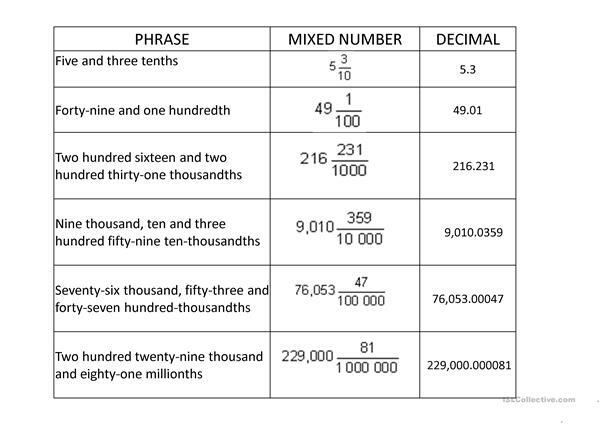 an explanation for writing decimals in math. 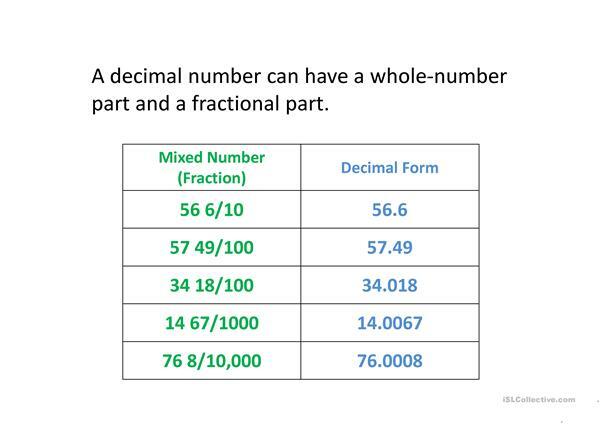 The above downloadable teaching material was created for business/professional students, high school students, elementary school students and adults at Intermediate (B1), Upper-intermediate (B2), Advanced (C1) and Proficient (C2) level. 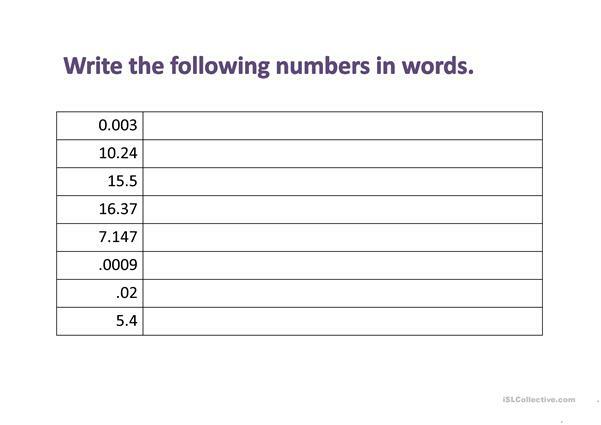 It is useful for developing your class' Speaking and Writing skills.